Hi. Just found this site. I was stationed at HQ 40th Artillery Bde. during April to October at the Presidio (San Francisco). 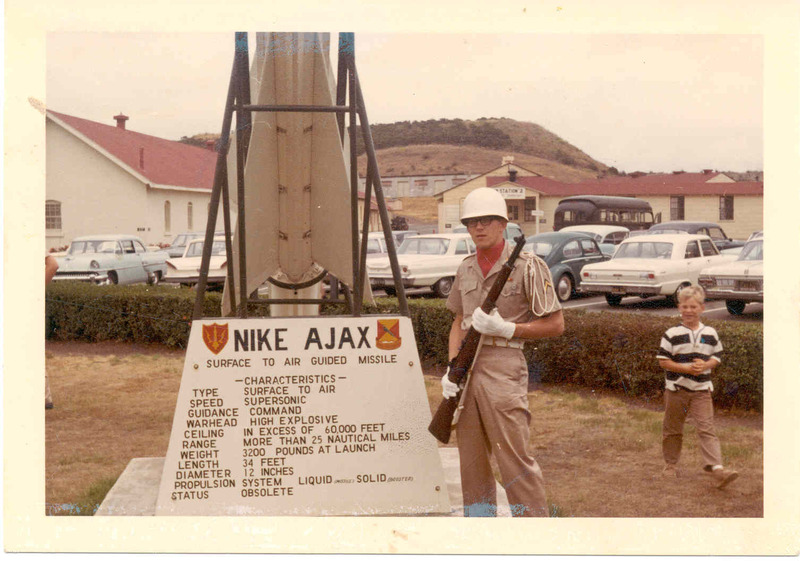 I have a picture of me at one of the sites with a Color Guard uniform on. I would like to share it. My MOS was 67N20, helicopter mechanic. I believe there were five of us for the one chopper they had. I mostly worked at the school doing odd chores with a fellow named “Mack”. We put on shows for the public. One of the first days there I played Taps in the morning. New-Be. From there I got orders for Nam. I still miss San Francisco. Aug,'66 Ft. Baker, California. Terry Fetterman in color guard uniform.